I-Intro is an award-winning recruitment platform designed with a huge selection of advanced features and options, giving employers and recruiters an easy and affordable way to find the best candidate for an available role. 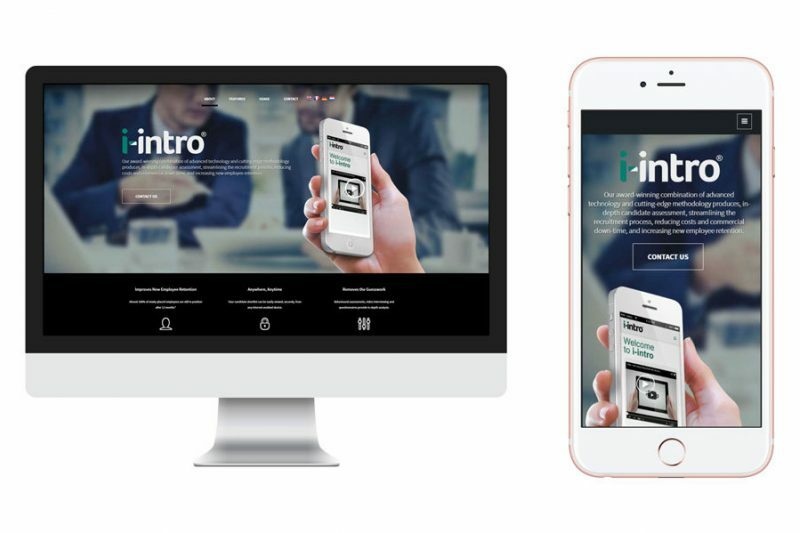 For the I-Intro project, our team created both a fully responsive website and a fully responsive system for recruiters and applicants to use. Making sure that all aspects of the I-Intro system worked flawlessly on all devices was essential, and ensures that the system can be used absolutely anywhere. The clean, modern look of the website and system perfectly fits with I-Intro's client audience. 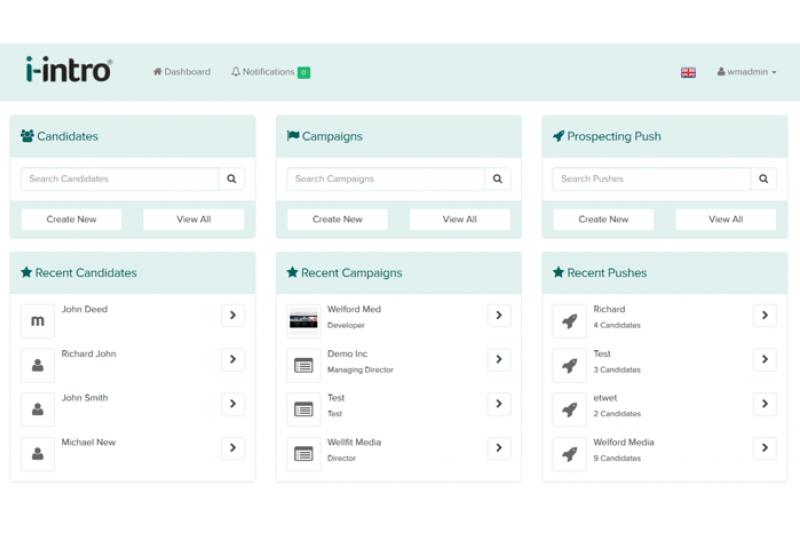 The user's dashboard gives them a clear and easy to use home for all of their campaigns and candidates. The dashboard can be easily customised from the settings, allowing the user to use their own branding for their company. This concise dashboard makes viewing candidate details or setting up campaigns a quick and simple task for users. Each candidate has their own profile which is clearly laid out and extremely detailed. 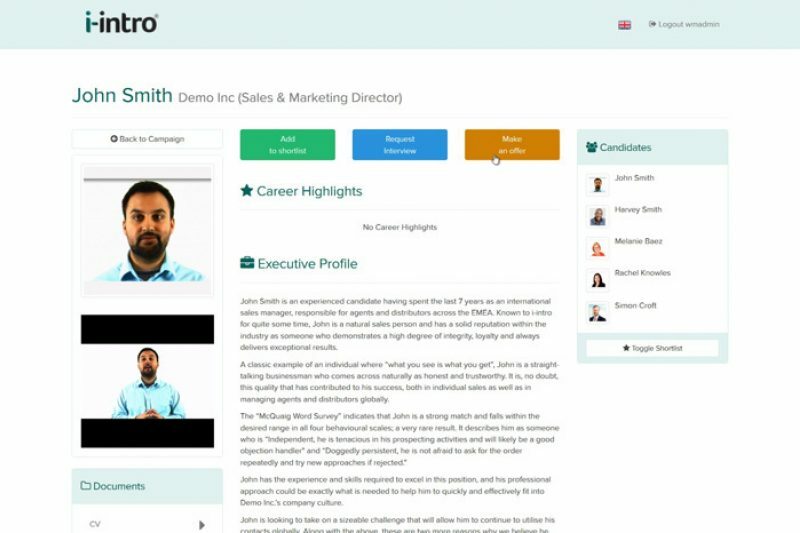 The user can easily read through the candidate's documents, profile, career highlight and more, as well as watch video interviews which have been uploaded by the candidate. The user can switch between each candidate from the menu at the right, as well as progress the candidate on to the next section of the hiring process using the buttons at the top. With each recruitment campaign, the user can add fully custom key competency questions for the candidate to answer. 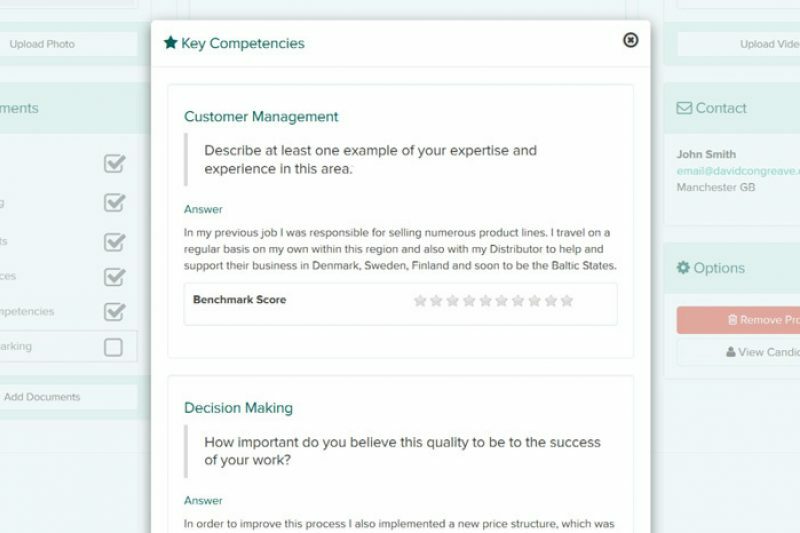 These key competency questions will then show on the candidate's profile when answered, along with the ability for the user to rate and comment internally. 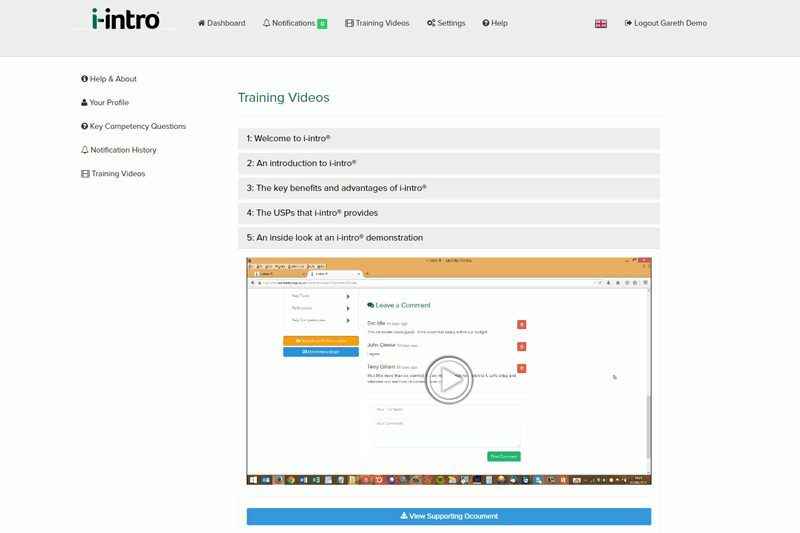 To make the system as user-friendly as possible, the I-Intro system features a dedicated training section with easy to follow training videos and supporting documents. It was essential that these videos flow well, yet don't slow down the system in any way when in use. 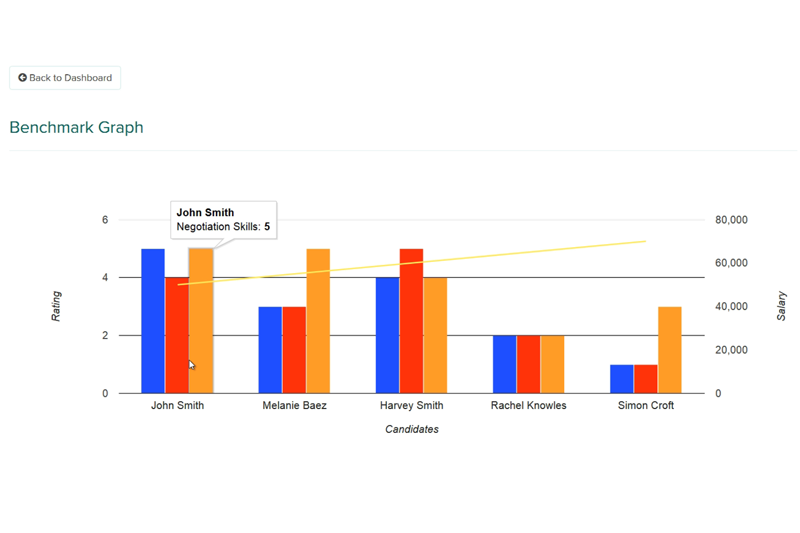 To give users a visual representation of each candidate who has applied for their role, the system is complete with a wide range of graphs, charts and reports. The user can easily see key figures about each candidate, as well as compare them against the other applicants. These reports are ideal for users who are required to present reports back to their company before choosing a final candidate.